We are The Leading Children’s Healthcare Charity in the UK. Our mission is to ensure that healthcare in the UK meets the unique needs of all children and young people and their families. 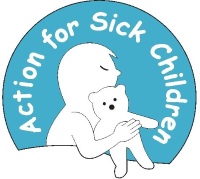 With over 50 years’ experience, Action for Sick Children campaigns on all aspects of healthcare, whether in hospital in the community or at home and from national policies to individual family cases. We believe that family focused environments, as well as excellent medical services, are critical to aiding recovery. Action for Sick Children provides leadership at local and national levels. We harness the experience and expertise of children, parents and their families as well as healthcare professionals. We define standards in child healthcare and lobby to implement these standards.